Few days ago, I mentioned in one of my posts that Apple is allegedly making plans to buy Shazam. It seems like the news is true as Apple has finally acquired the popular music naming App. Both companies has actually been working together since 2008 when Apple iPhone 3G users running the app could purchase songs whose title they discovered with Shazam, from iTunes. That has been the case since 2008 even till date. Starting with iOS 8, Shazam's song title discovery service was integrated into Siri. Over the years, Shazam has gone from just a song naming app to doing a lot more such as ability to identify television shows, movie posters, magazine ads and AR content. "We are thrilled that Shazam and its talented team will be joining Apple. 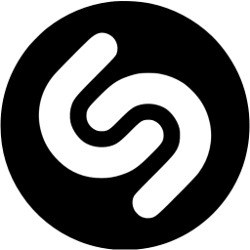 Since the launch of the App Store, Shazam has consistently ranked as one of the most popular apps for iOS. Today, it’s used by hundreds of millions of people around the world, across multiple platforms. Apple Music and Shazam are a natural fit, sharing a passion for music discovery and delivering great music experiences to our users. We have exciting plans in store, and we look forward to combining with Shazam upon approval of today’s agreement. "We are excited to announce that Shazam has entered into an agreement to become part of Apple. Shazam is one of the highest rated apps in the world and loved by hundreds of millions of users and we can’t imagine a better home for Shazam to enable us to continue innovating and delivering magic for our users. At the moment we still don't know for sure what Apple plans to do with its latest acquisition, but I guess we just have to wait to find out.